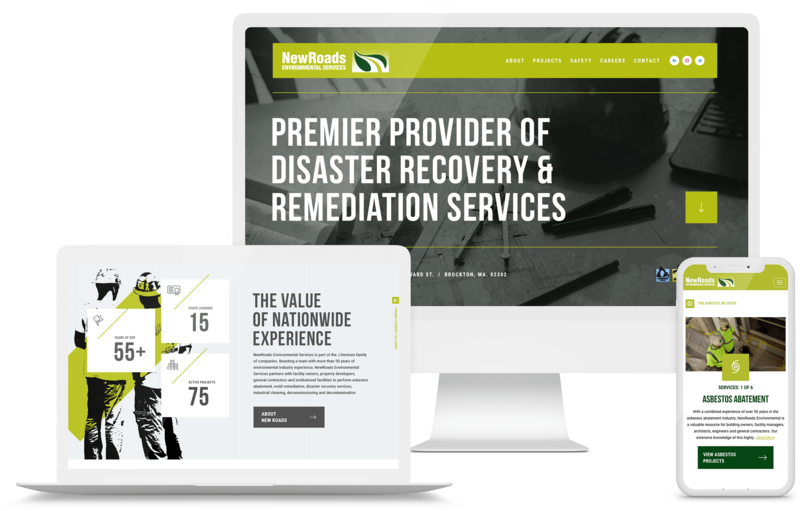 NewRoads Environmental Services is part of the J. Derenzo family of companies. 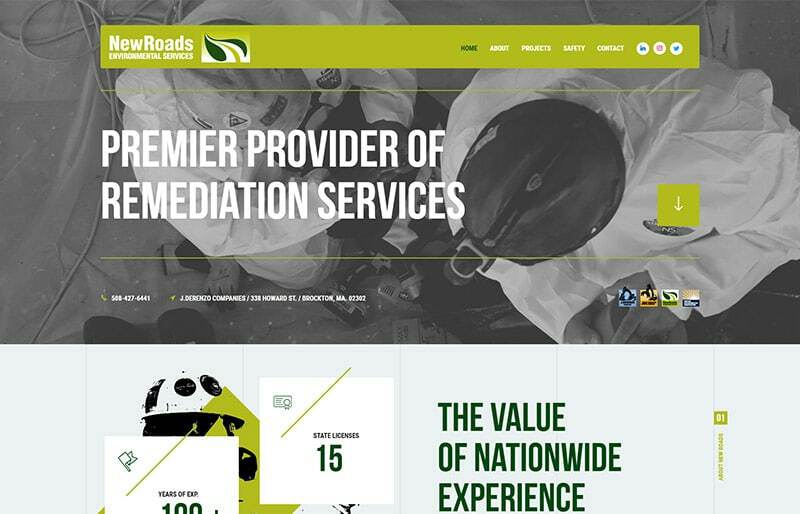 Boasting a team with more than 50 years of environmental industry experience, NewRoads Environmental Services partners with facility owners, property developers, general contractors and institutional facilities to perform asbestos abatement, mold remediation, disaster recovery services, industrial cleaning, decommissioning and decontamination services. New Roads Environmental Services is part of the J. Derenzo family of companies. They needed a site that could proudly represent the J. Dorenzo name, while still being both modern and informative. To make it modern, GoingClear Interactive went to work designing and developing a site that included a sticky header, number animations on the Home page, and gray-scale photo treatments and artwork. To make it informative, GCI incorporated an interactive slider, a Projects page with a complex filtering system and dynamic pagination, as well as Google Maps with a custom map marker. 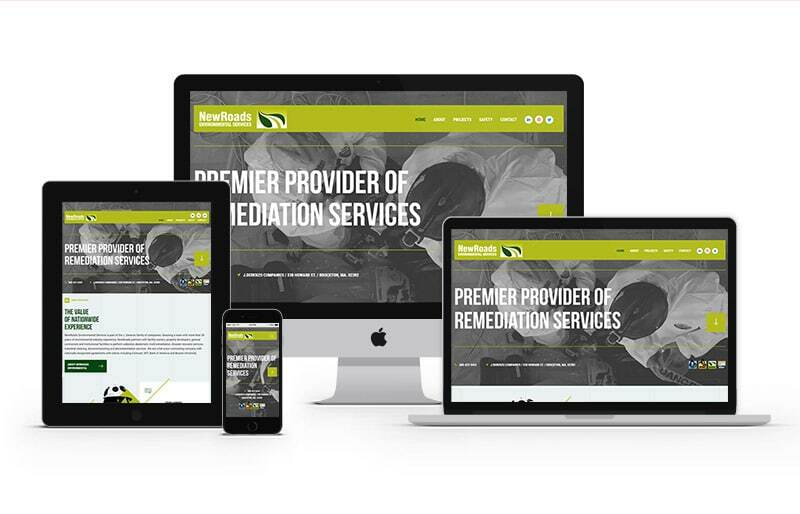 To top it off, the entire site is responsive, ensuring that it will work on any mobile device.